Hailing from Berlin, Germany, Felix Starck and Selima Taibi wanted to leave their ordinary lives behind and do something extraordinary. Felix is a filmmaker and Selima is a musician who creates music under the name Mogli. The young couple was vying to see the world and live life on the road. Together, they imagined a journey through North and South America, living life on the road with the great outdoors all around them. While some might have viewed them as daydreamers, the couple is anything but. They put their plans into action. Follow their incredible journey that they named Expedition: Happiness. In order to set out on their journey properly, Felix and Selima decided that a school bus converted into a home would be the best option. That way they would have a means of transportation along with a place to call home while on the road. While other people might see this type of lifestyle choice as too alternative, the adventurous couple was inspired by the idea. While they were still in Berlin, the search for a school bus in America began. Lucky for them, they found a bus that would suit their needs. However, they still had a lot of work ahead of them. The bus wasn’t in the best shape and needed a lot of repairs before they even got started on converting it into something that would be livable. But they weren’t deterred, and instead got to work. Yep, Felix and Selima were planning on doing the repairs and the conversion themselves! 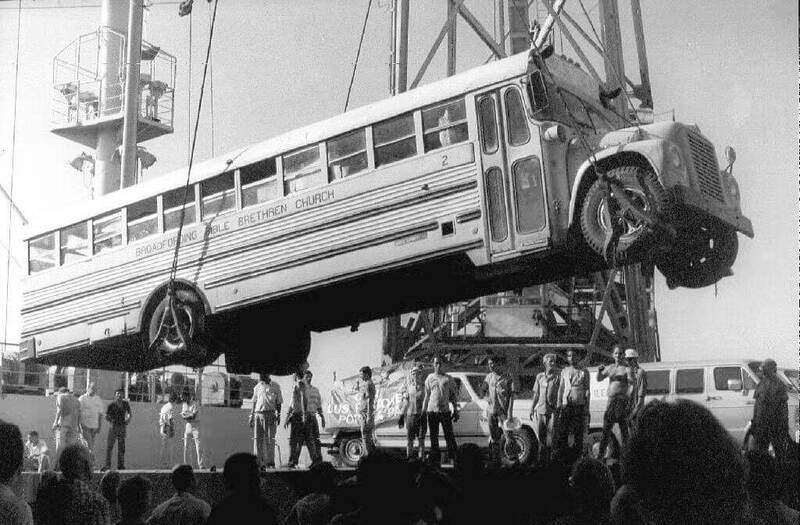 Once they arrived in America, getting the bus ready for the journey was their main focus. Selima got to work getting the stickers off the bus while Felix organized reworking the flooring. Since the school bus wasn’t designed for someone to live in, there were quite a few adjustments that they needed to make, including adding insulation, as the couple planned on traveling to the snow. “Pumped to get some sub-flooring and insulation in today!” they posted. The couple purchased the school bus (by itself) for $9,500 USD. They had found it online and bought it before booking their flights to America. 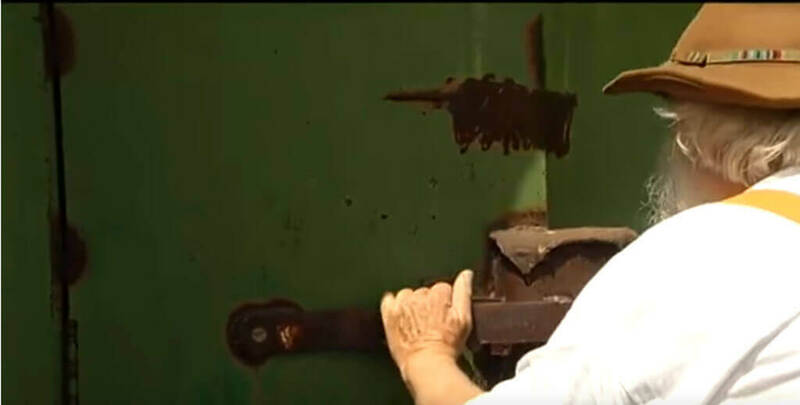 Although they were disappointed in the amount of rust and holes that they found throughout, they knew they had to keep a positive mindset and tackle the project head-on. So which one of them knew how to do that? As it turns out, the couple was wildly optimistic but neither had the carpentry background or skills necessary to tackle something like getting rid of rust and repairing flooring. Luckily they connected with a nearby couple in North Carolina, who offered their advice. He may not have helped with the school bus build, but Rudi the Bernese Mountain Dog was ready to join the couple on their epic journey. Good thing they bought a school bus instead of a tiny home, because this pup takes up some space! Felix and Selima were excited to take Rudi along for the ride, and show him what snow is all about! They also told their followers that Rudi was a source of inspiration for them and added to the excitement of their upcoming trip. Once the frame of the bed was built, they began to build out the kitchen. 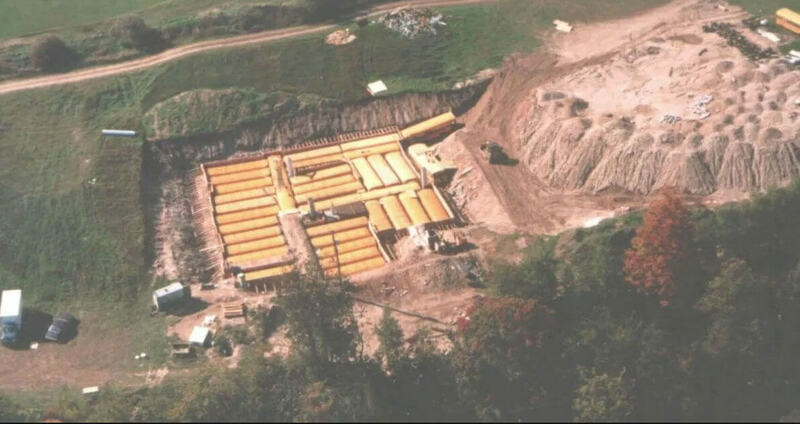 The school bus offered a unique floor plan; long and narrow, and they needed to carefully plan out every inch to be utilized in a meaningful way. In tiny spaces like their bus, it’s of utmost importance that everything is designed for functionality and to make the best use of the space. Once the cabinets were installed, they felt pretty good about the pace of their build. As the kitchen came along, so did the bathroom. Felix posted photos of Selima crouched down in the tiny designated space with the caption, “painting our teensy tiny toilet.” They realized that the bathroom is much tighter than one you would find in the average home, so they improvised. Selima painted the space white, to make it appear bigger and set handmade tiles to make it feel like more like home. Throughout the process, the couple remained optimistic and cheered each other on, keeping spirits high. Once the interior of the bus started coming along, it was time for the exterior to get a face lift. Although the adventurous couple believed a school bus would make the best home for them, they didn’t want it to be mistaken for a bus that takes kids to school. Felix and Selima decided to paint the exterior white. But… “Gray! It turned out gray!” Felix shared with their followers. They weren’t too worried about it though, and kept painting anyway. “Black parts will be cream,” Felix decided. Soon, the interior was complete! Things were taking shape and the bus was no longer recognizable as the bright yellow school bus it once was. Now, it was a home. When designing the floorplan for their bus, Felix and Selima chose to stretch a counter along each wall. On one side would be the kitchen, with plenty of counter for food prep. On the other side would be enough space for each of them to have a desk. This was important not only for Felix to edit film and Selima to work on her music, but to update their social media with content from their journey. Another area that was important when designing the floor plan was of course, the bedroom. The couple wisely decided to stick this room in the back of the bus, where it could be quiet, private, and removed from the rest. And take a look at the bed Selima built! You wouldn’t even believe that the couple had no previous experience building furniture, as the entire space has clean lines and beautiful design. You may be wondering how they power this thing! With so many lights and appliances on board, you might be wondering how the couple powers their home on wheels. Felix gave their followers a peek at the back of the bus, where they have their powering station. From here, they have the option of plugging the bus into the grid to get energy. Whenever they can though, they pull electricity from the solar panels installed on the roof of the bus. This helps keep their costs down while traveling since that bus has got to be a gas guzzler! Felix and Selima have their bed comfortably set up in the back of the bus, but what about Rudi the Bernese dog? Of course, he got his own space, too. In fact, the bus allowed enough room for a big doggie bed up in the front of the bus. This way he can be right where the action is as they hit the road. He also has a custom elevated table for his doggie bowls. Living the doggie dream. When converting the school bus into a livable space, the couple paid close attention to detail in how they would store all of their belongings. It was important that they had enough space for their clothing, as well as all of their gear. They designed the couches deep enough to afford a good amount of storage space underneath and stashed their equipment in the rear of the bus, like Selima’s music equipment. This also helped keep the bus clutter-free. Once the bus was built out with everything they needed (can you believe how nice it looks?!) they were able to outfit it with more elements that would make it feel like home. With both halves of the couple being artistic, they let their creativity flow. They decided to hang a graphic on the wall stating, “live simply.” However, it’s hard to agree that anything about this couple’s journey is simple. They put a lot of hard work into creating the lifestyle they wanted. After they accomplished the huge feat of purchasing and converting a school bus into a home on wheels, the young couple was ready to hit the road and see the Americas! Elated to finally hit the road, they named their journey “Expedition Happiness.” They had already amassed a following on social media during their school bus build, and would garner even more followers while they set-out on a once-in-a-lifetime journey. They decided that their maiden voyage would be to Canada. Felix and Selima had their sights set on seeing some big mountains. Little did their dog Rudi know what was in store when they reached their destination! The couple and their beloved dog hit the road and safely made it to their first destination: Banff National Park. The park is known as one of the greatest monuments of nature in North America, and they knew they absolutely had to experience it firsthand. Once they arrived, Felix posted, “Banff National Park we love you!!! Mowgli is enjoying the sun and me and Rudi go for a hike.” The couple was settling into their life on the road just fine. Just look at that face! Upon arriving, Rudi saw snow for the first time and his reaction is priceless. Without any development in sight, in the thick of nature, Rudi was able to run free and live a dog’s dream life. How lucky is he to have his favorite humans by his side as they travel to the greatest destinations in North America? The Bernese mountain dog was truly in his element in Canada. After experiencing Banff National Park in Canada, Felix and Selima decided to journey even further north, to Alaska. By this time, their epic road trip was in full swing, and everything seemed to be going great. The bus was working out as planned and they were able to have some of nature’s greatest wonders outside their doorstep. They arrived in Denali National Park where they could view the tallest mountain in North America after making homemade chocolate croissants in their bus. The good life, indeed! What’s the opposite of Alaska? These young explorers weren’t set out just for the snow. After Alaska they journeyed south, through the forests of the pacific north west and along the beaches of California. Then, they cut inland, to Death Valley. While the couple was amazed with the drastic difference from snowy peaks, their pup wasn’t acclimating well to the heat. Once they reached Death Valley, the couple continued south on their journey, headed to the warm air and ocean in Mexico. Throughout the entirety of their trip, Selima, aka Mogli, wrote music. She then used the tracks she wrote to accompany Felix’s video, turning their work into a documentary. Felix shared, “It’s no secret that Mogli wrote some amazing songs while we were traveling.” This moment captured in time is enough to make anyone envious of the bus life they led on Expedition: Happiness. But, there’s one missing from the photo…. While Felix and Selima were at the height of their happiness on their road trip, having experienced Banff, Denali, the California coast and Death Valley, there was one member of the group who wasn’t feeling great: Rudi. While it was a shock to their followers, Felix and Selima trusted their gut instinct and knew that it was best for their dog if they ended Expedition: Happiness in Mexico. Although they wanted to travel to South America, they knew it would be at the expense of their companion, and they couldn’t do it. They put their dream bus up for sale. The beautiful couple gained a lot of insight and wisdom on their journey. They were able to embrace the experience and let go of the things they weren’t able to see. Not only were they able to accomplish converting a bus and traveling across three countries, they were able to share it with others. While Felix put together the video they captured along the journey, Selima recorded and laid her soundtrack over it. Now Expedition: Happiness will live on forever. One thing the couple from Berlin learned while they were on the road, is that they can live with much less than society might make people believe they need. Not only did they live happily in close quarters, but they built their home with their own hands, which turned out beautifully! Their journey has been shared on Facebook, Instagram, YouTube, and even their own documentary. That’s a lot to accomplish setting out on their own unique path. Looking back on their creation, it’s pretty amazing. While they had no prior experience in converting a bus or building furniture themselves, Felix and Selima were able to create a living space that people around the world admired. They were smart in every design choice, making it both functional and a beautiful place to stay in. Not only that, but everything was designed to travel thousands of miles around the continent. Did they ever see it going this well? Felix and Selima successfully converted their bus and traveled to three different countries on a different continent from Berlin. They put together their documentary, Expedition: Happiness, and sold their bus. Now what? Another adventure, of course! After they wrapped up the first project, the empowered couple found something new to get excited about. Felix set off on a cycling journey, biking around the globe. Of course, Selima created the soundtrack, and the film ended up being popular in Germany for several years. Looking back on the school bus, they wouldn’t have changed a thing. Felix and Selima had a vision to travel North America without having to find housing everywhere they go. They came up with a plan, and they successfully pulled it off. They’ll never forget the nights that they spent sleeping in the bus in the middle of Banff and Denali National forests. They’ll never forget the simple life they created for themselves. And they’ll never forget the love they shared throughout the entire experience. If there’s anything to take away from the filmmaker and musician’s experience, is that nothing is out of reach, and no dream is too big. 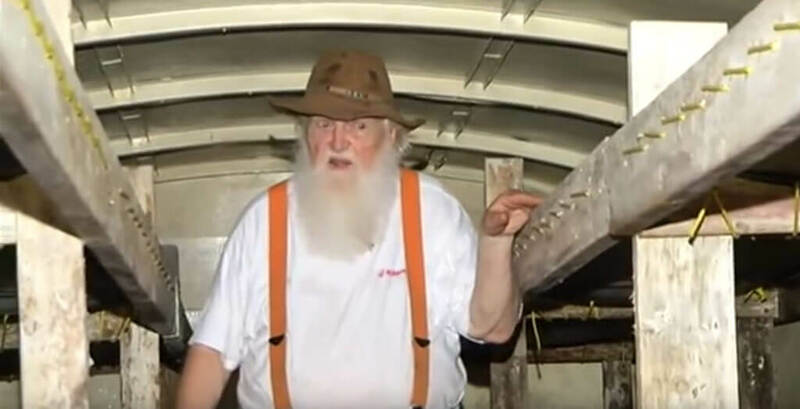 While other people might have thought their vision was too outlandish and difficult, they persisted and were able to create a home on wheels from a school bus. It’s incredible what this couple was able to do with a simple school bus. A house on wheels isn’t the only way to convert a school bus though. See what Bruce Beach used 42 school buses to create, next! In a rural part of Canada, something completely unexpected lies beneath the snow-covered earth. Hardly anyone knows about it and even fewer have seen it, but local authorities are nevertheless trying to stop its creator from continuing his bizarre obsession. 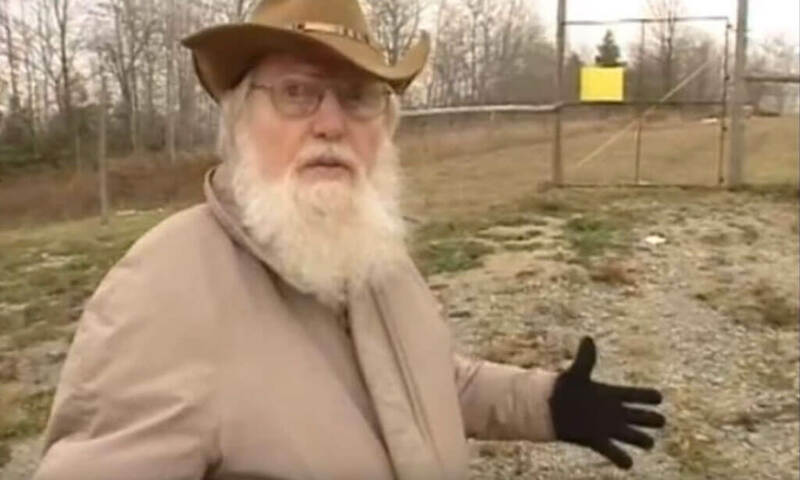 You see, an 83-year old man named Bruce Beach, motivated by sheer fear, has been burying school buses in order to construct an elaborate underground system of mazes. He just recently decided to share his epic creation and the compelling reason behind it. How did a man from the fields of Kansas end up in the middle of Canada, burying school buses in the snow? Now an old man, Bruce is the product of his times. He lived through the bloody scenes of the Vietnam War and the invisible tension of the Cold War. Bruce became a victim of the fear that those eras created in many minds. Along with his wife and their children, Bruce made the trek to snowy Canada to make a safer life for themselves. In the 1970s the Beach clan made the move to Bruce’s wife’s hometown, which is a village called Horning’s Mills. The town is near Ontario and is about a 90 minute drive to Toronto. Bruce had major plans for their new life in Canada. He was going to make sure that he and his family were as safe as possible, and was sure that Horning’s Mills was the best place in the world for his grand ambitions. In the early and mid-1980s, Bruce began working on his ambitious plan, one step at a time. 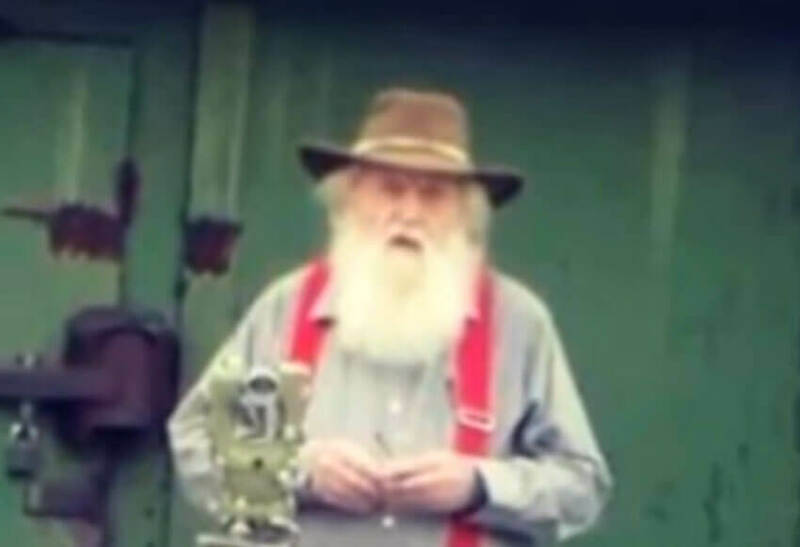 First, he began amassing old school buses, ending up with 42 total. 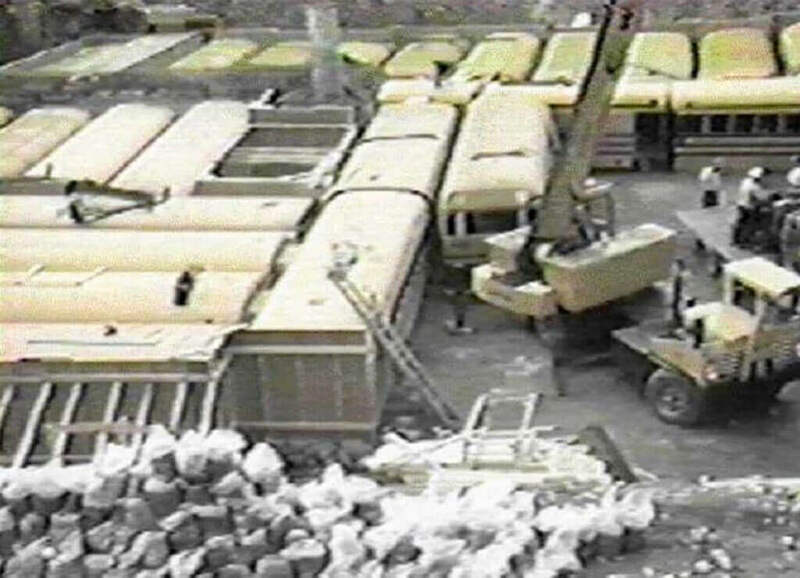 The average price of these out-of-use school buses was around $300 – this was no cheap or frivolous endeavor. The vehicles were shipped to Bruce at home. No one could have guessed just what he would do with the large collection, or where it would go. But Bruce knew exactly what to do. Next: the reason Bruce chose school buses. Bruce could have chosen from many different types of vehicles for his vision. But he selected school buses for a very specific reason. For the safety of their child passengers, school buses have roofs that are reinforced with steel. These reinforcements also ensure that the buses can handle the weight of being buried underground, with heavy dirt above. Additionally, school buses are large and have open floorplans with plenty of room for people and supplies. The next step of Bruce’s master plan was no small feat, and one that would require a large chunk of his 12.5 acres of land. With a small army of volunteers, Bruce began digging a hole that would eventually encase his collection of 42 buses. 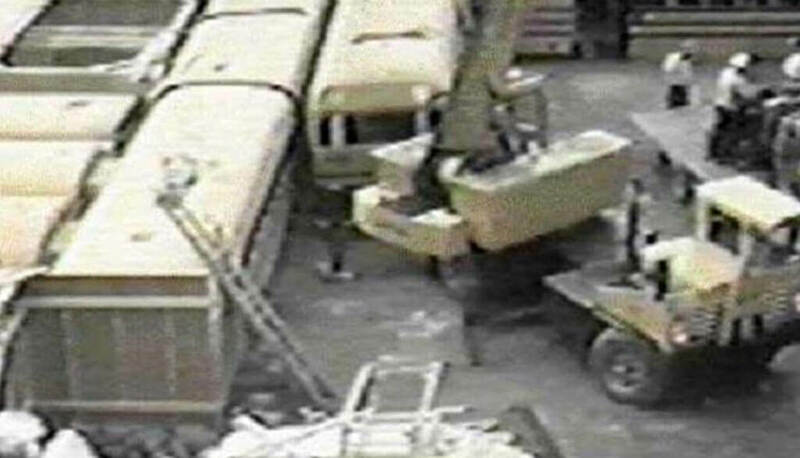 Once the buses were moved into the hole, Bruce connected them all together with a sophisticated system of tunnels that formed a series of rooms and storage spaces. But he didn’t stop there. 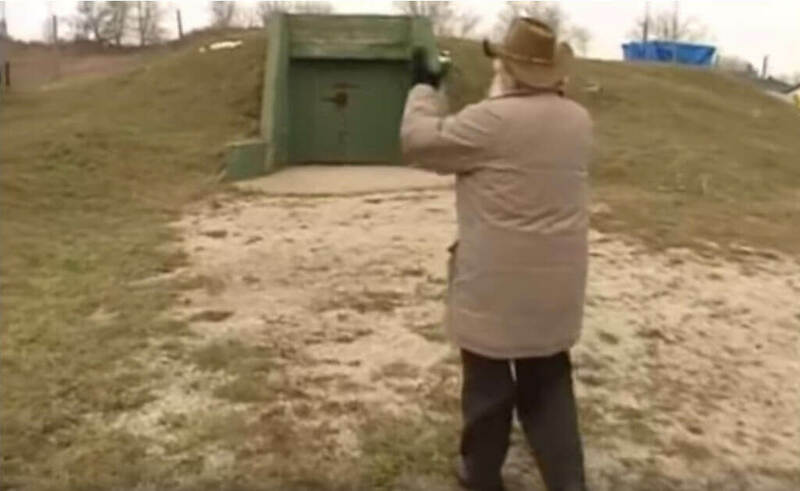 His bus bunker was finally assembled deep in the Canadian land and was ready for the next step toward making it impervious to outside threats. Using the bus labyrinth as a mold, Bruce then poured two feet of concrete over the entire system. Not content to stop there, Bruce covered the entire construction with an additional 14 feet of dirt on top of the concrete. The bunker was invisible to the outside world. People would be astonished to learn how large Bruce’s dream structure would end up. Although construction on Bruce’s life project will never be fully complete, the initial phase of construction was finally over. 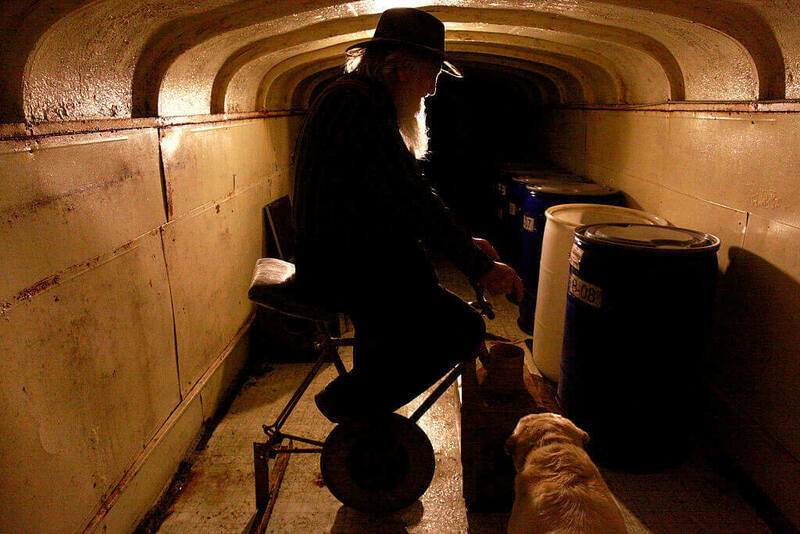 In all, he ended up with an astonishing 10,000 square feet of atomic blast-proof space in this amazing underground fortress. How Did One Man Do It On His Own? One man couldn’t have done this all alone. It might be difficult to believe, given that the entire compound consists of a bunch of school buses thrown together in a hole, but Ark Two is completely structurally sound. That’s because Bruce worked with an engineer on the project. In fact, Bruce says that the structural engineer who constructed Toronto’s subway system is the same one who oversaw Ark Two’s completion. And as Toronto is the country’s largest city, with tons of commuters safely taking the subway each day, the engineer must really know his stuff. 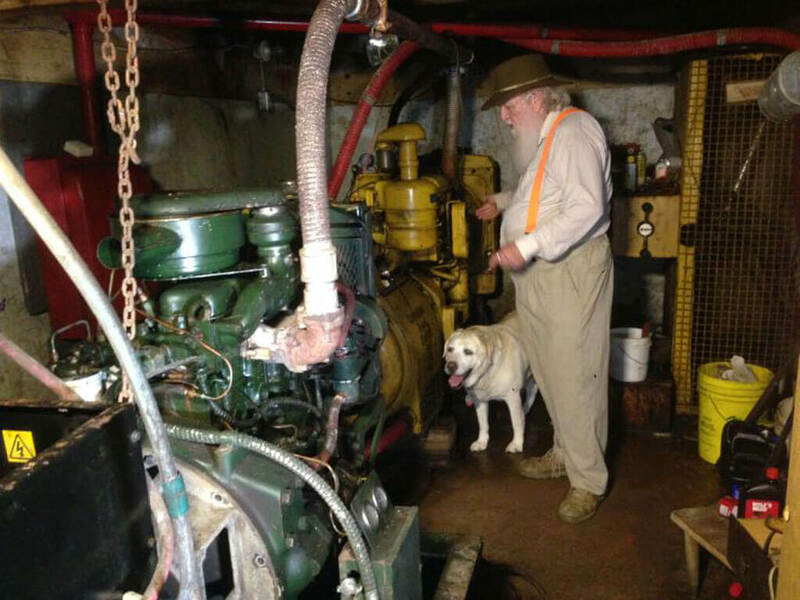 Bruce then recruited more help with constructing Ark Two. At least 50 volunteers from the nearby town of Horning’s Mills spent their weekends assisting with planning and with the back-breaking labor involved. And many more continue to donate their efforts to maintaining and improving the bus labyrinth. Why would any sane person willingly give up their free time to work on the project of someone who has been called things like “nutty,” “a kook,” and worse? Read on to find out. Bruce has said that those who donated their help to construct the Ark are guaranteed admission, should disaster ever strike. And those who live nearby can still work to earn themselves a safe spot in Bruce Beach’s safety masterpiece. Volunteers can spend a few weekends each year doing work around the shelter, which includes making renovations and performing routine maintenance tasks. 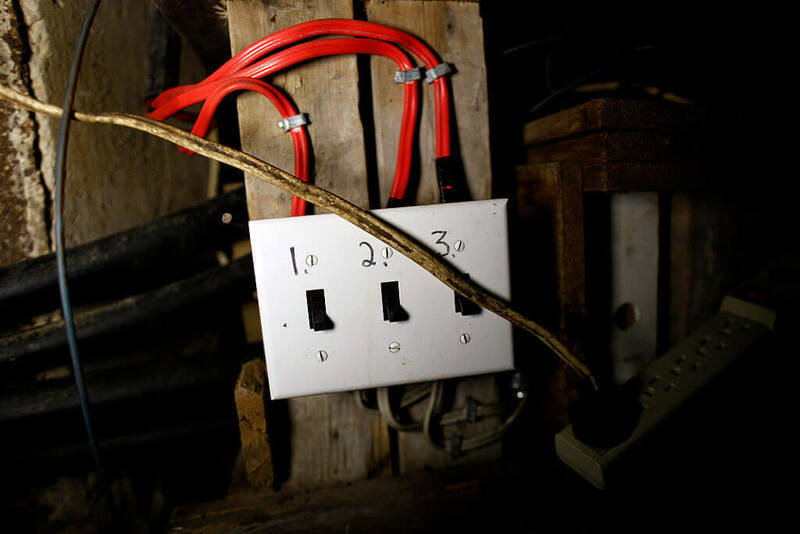 That is a small price to pay for the promise of safety when disaster strikes. And as we’ll learn, Bruce is certain that it will strike. How does one get inside the enormous complex called Ark Two? Visitors who are granted access to the compound first enter a small rusted portal, the only part of the construction visible from above ground. The portal contains a bunker and a power generator. Visitors then descend through the 14 feet of dirt before reaching the concrete structure and learning about all the wonders that lie beneath. We’ll soon learn about all the unexpected features housed within the amazing labyrinth of buses. In the meantime, just who will be allowed to use Ark Two in the event of an emergency? 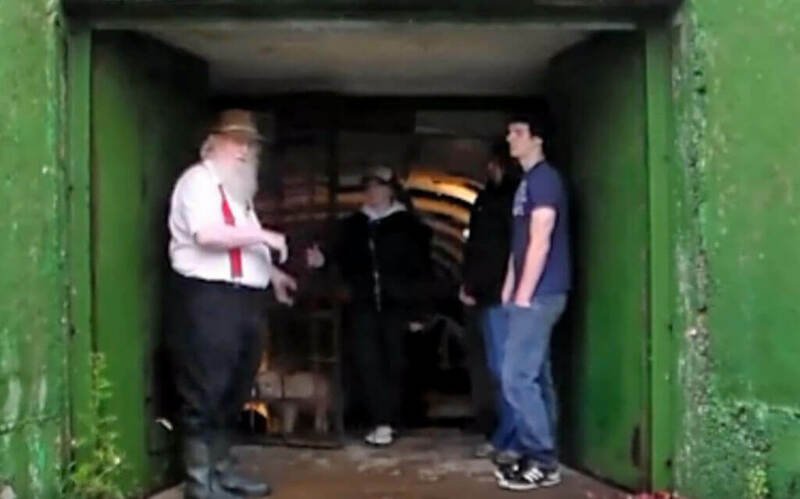 You can bet that in the case of a disaster like the ones that the shelter was built for, there will be plenty of people knocking at the door to be let into Ark Two. But Bruce must be very careful when he decides who can come in. If someone who was sick with an infectious illness or disease were to get in, it could prove fatal for the remaining evacuees. And some people appear physically healthy despite being quite ill. Ever the planner, Bruce came up with a solution to this problem. In an emergency or disaster, those who show up at Bruce’s door will face a rigorous screening procedure, as well as a shower. There’s even a special decontamination chamber for this exact reason. 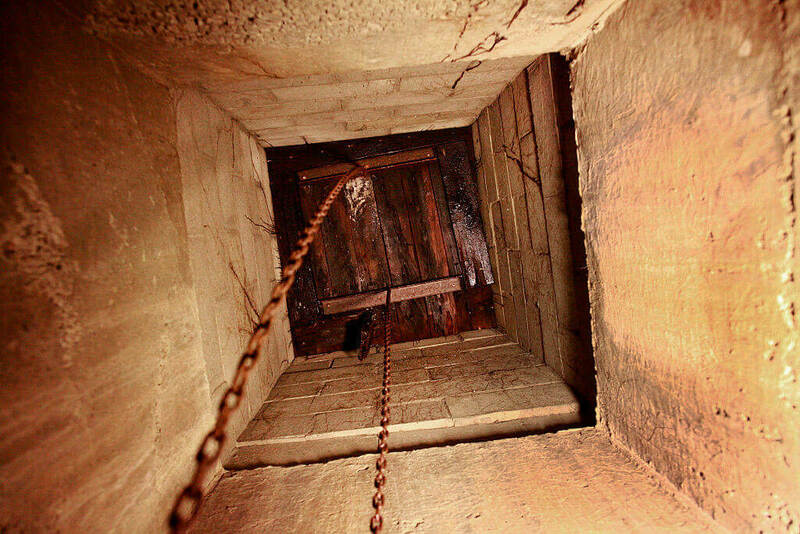 This chamber is the first one people pass through upon entry. 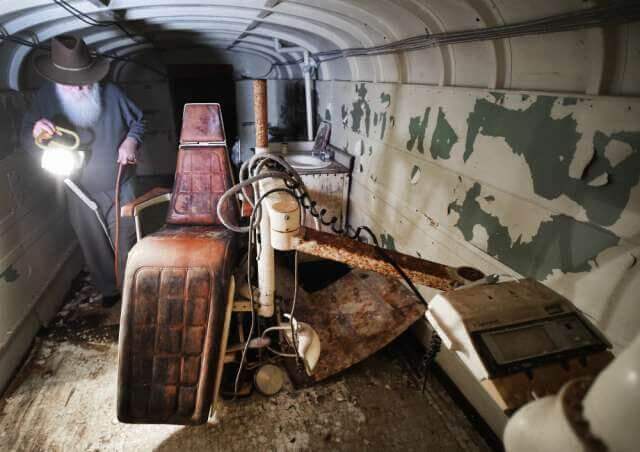 It contains a stainless steel double sink, a shower and separate bathtub (for children and disabled individuals), and a special area for decontaminating food items and other objects. Now, find out about everything the Ark has to offer! 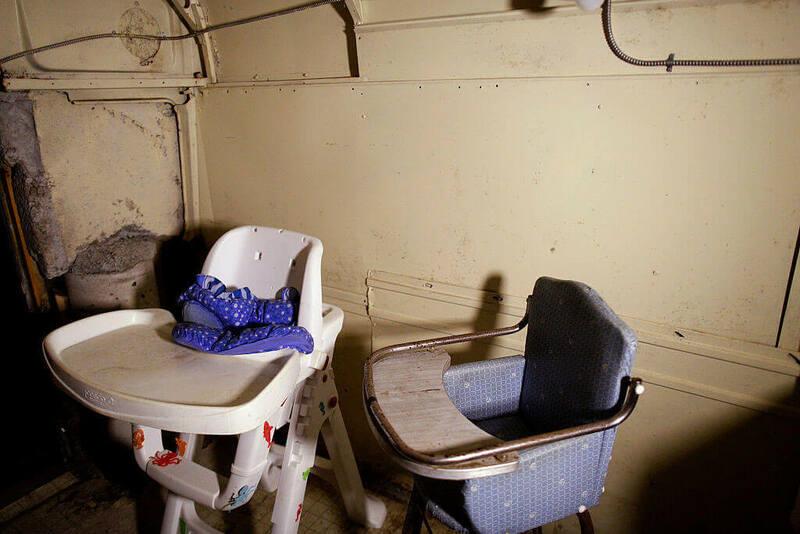 Electricity, plumbing, and access to water are some of the most basic needs anyone stuck in a fallout shelter would need to stay alive. Bruce has all those covered in his elaborate design. There are a number of diesel generators on hand, as up to three months of fuel. 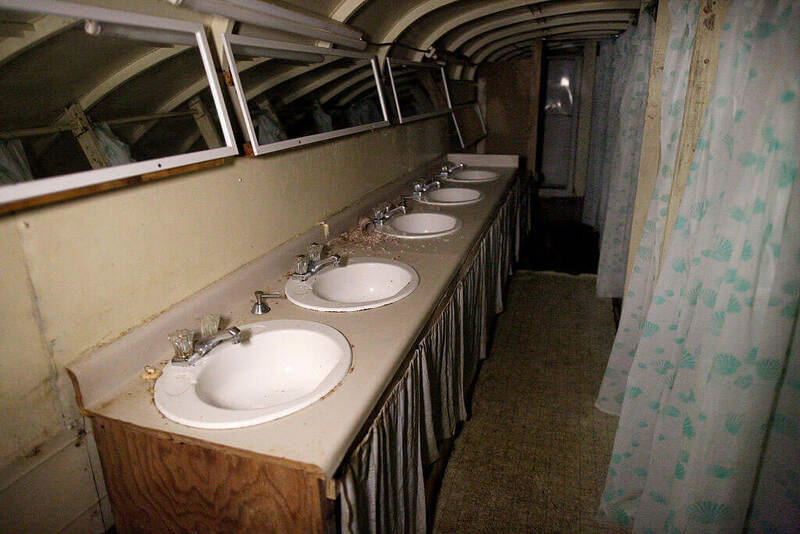 There’s a plumbing system, of course, including a septic tank large enough for a motel and a private well for drinkable water. You simply can’t rely on an outside water source during times of emergency, as it could be contaminated. Now, let’s go inside and find out what all the fuss is about. Although the offerings in Ark Two are pretty basic, you can be sure that Bruce has you covered with ample provisions. 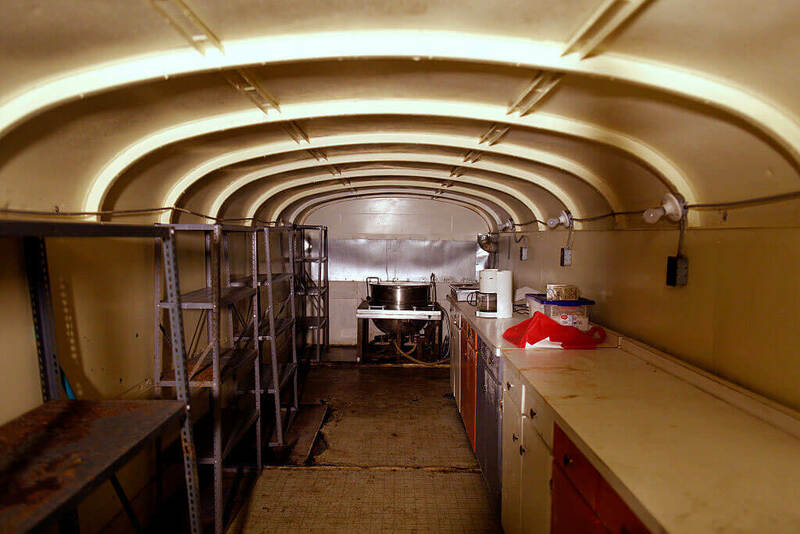 The bunker contains two industrial kitchens, and Bruce even lined up a cook friend to stay on site in the event of a disaster. One of the kitchens is for cooking and one is primarily used for washing dishes. There are also two adjacent storage rooms for food and other supplies. It turns out that keeping food in stock is one of Bruce’s biggest hurdles. 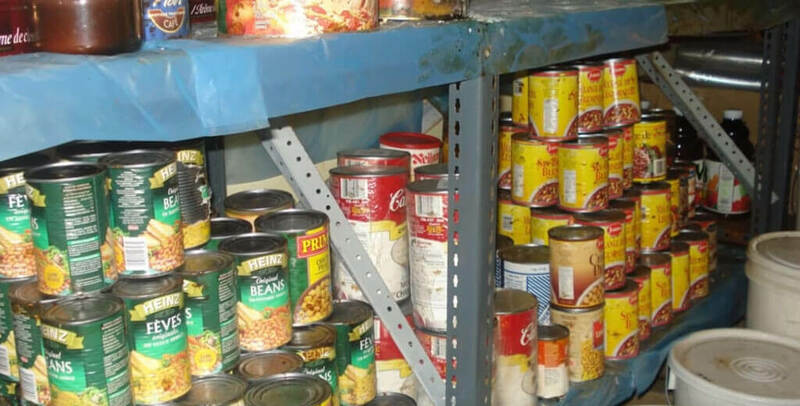 One of the most important elements of owning an emergency shelter is keeping food well-stocked, when you don’t even know when you might need it. Bruce says this has been one of the most difficult parts of his life work with Ark Two. 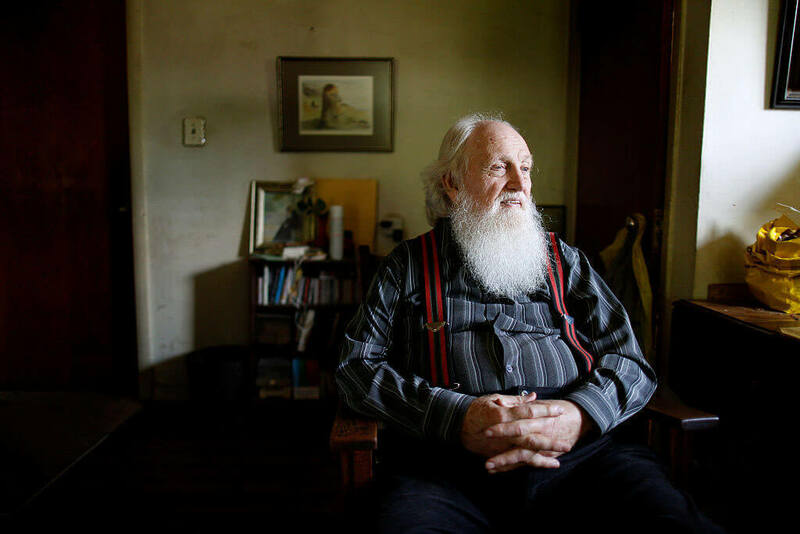 He told the National Post, “I don’t know how many tons of food we have had to throw out over the years.” Even when loading up on nonperishable goods like canned food, thirty years have passed since the shelter was finished. Most foods are going to expire within that time. Bruce Beach didn’t forget anything when he built Ark Two. After all, he’s had 40 years to plan. The compound contains living and sleeping spaces (bunk rooms), restrooms, classrooms, a radio communications center, a doctor’s office, a library, day rooms, a mortuary, and even a dentist’s chair! Other amenities include a surgery, laundry room, conference room, chapel, exercise areas, and a nursery with a separate “cry room.” There’s also plenty of storage space within the shelter’s 10,000 square feet. Men and women are separated in the living quarters at Ark Two. 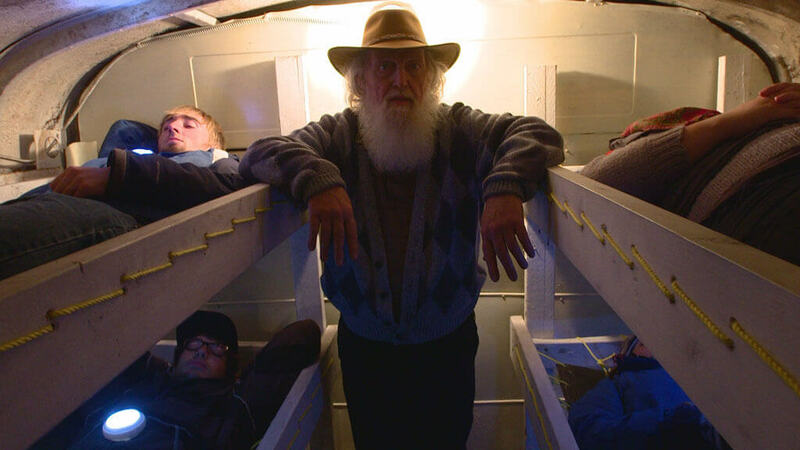 Bruce says that if families stayed together in the bunk rooms that there wouldn’t be enough room for others. Why does Bruce have these strict rules in place? Bruce says that Ark Two has “all the comforts of home” and then some. There are special provisions in place to ensure that the children who are forced to shelter at Ark Two can thrive in the outside world once the disaster has passed. In addition to a nursery and daycare, there are classrooms where kids can continue to learn. And there is also a play area to serve as a playground. The room is outfitted with lots of toys including multiple chess sets, which Bruce thinks are important learning tools. Of course, in the event that Ark Two is ever needed, its occupants will have to be in touch with the outside world somehow. 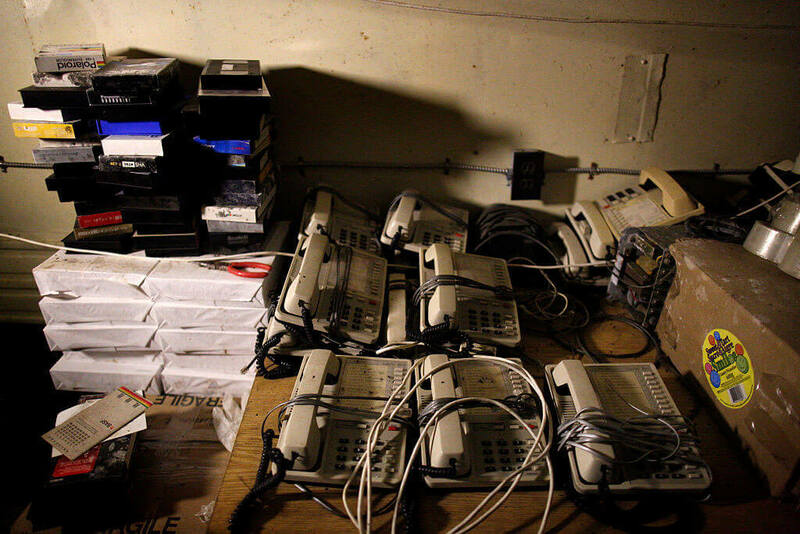 The facility is rigged with a radio system that broadcasts both AM and FM frequencies. The communication system is strong enough to reach both Canada and the United States, and could well be the key to everyone in Ark Two getting the information they need to survive through the disaster. More about “preppers” and Bruce’s opinion of them next. “Preppers” are people who believe that a catastrophic incident is likely to happen in the future. They spend lots of their time and resources to prepare for doomsday scenarios such as major social disruptions or nuclear war. 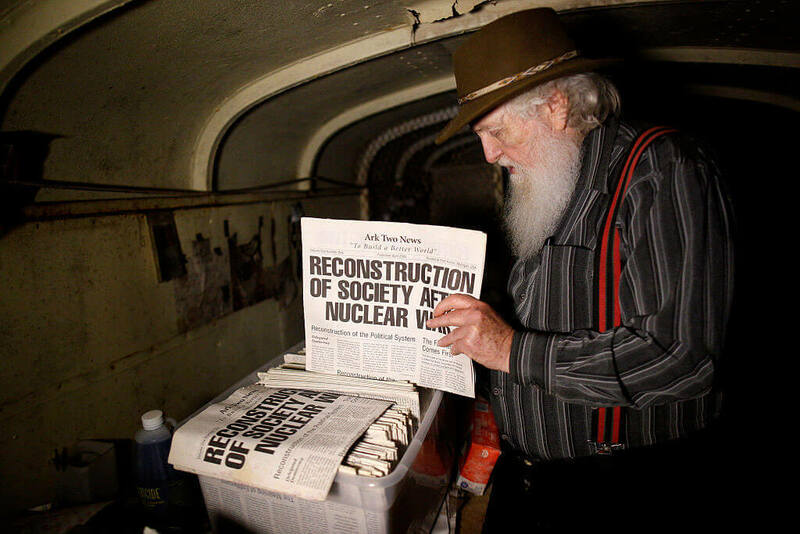 Bruce seems to be the very definition of a prepper, and was even featured on an episode of for National Geographic’s series called “Doomsday Preppers.” But how does he feel about being lumped in with others who spend their lives preparing for disaster? 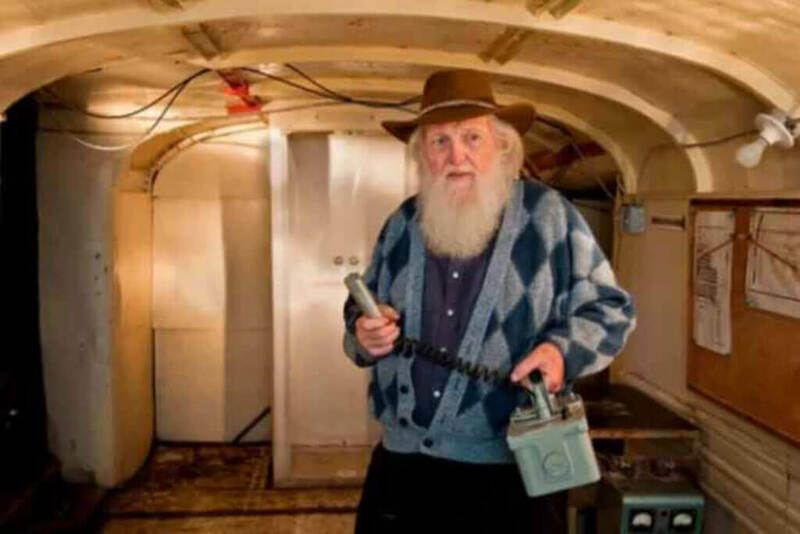 It turns out that Bruce Beach has some pretty strong opinions about most preppers. Although he, like them, has spent the better part of his life preparing for a yet-unknown disaster, he feels that his motivation comes from a different place. Bruce thinks that most other preppers are inspired by personal safety, rather than out of a concern for others. He considers himself selfless in his efforts to save so many people, should a catastrophe arise. 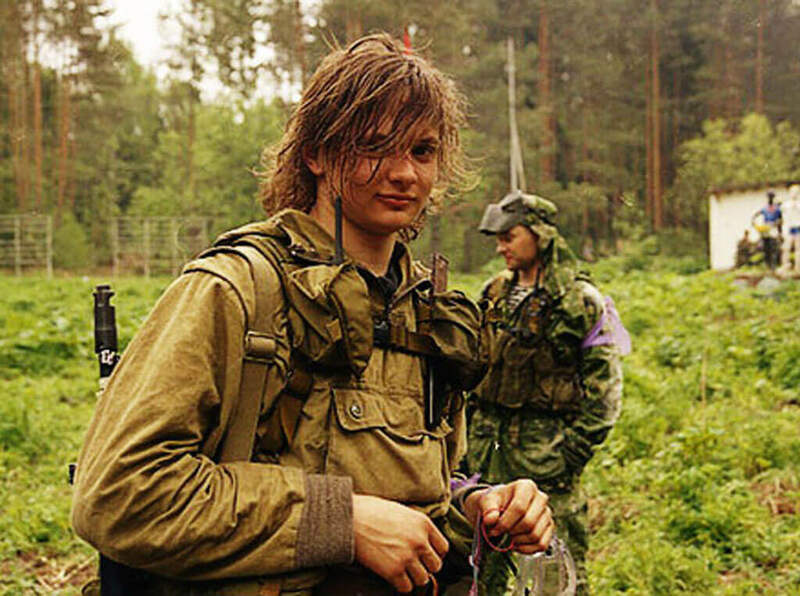 Many other preppers plan only for their own safety, and that of their families. What Does Bruce’s Family Think? So what does Bruce’s family think about his life’s work? He has a wife, Jean, who’s now 90 years old. Clearly, she’s been supportive of his mission to have stuck around so long! In fact, she helps him with administrative tasks like planning and taking inventory of supplies. His children, both adults, are not quite as interested in participating. In fact, they don’t even buy his vision of an imminent apocalypse. And Bruce says that even Jean gets tired of the constant talk about Ark Two. Not everyone is a fan of the incredible work that Bruce has undertaken. 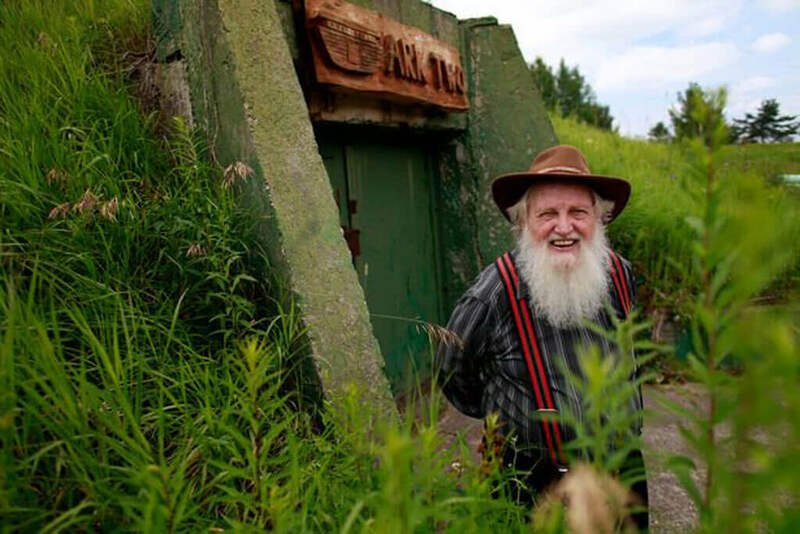 In fact, local authorities have tried to shut down his underground bunkers. To Ontario’s government, Ark Two is a giant public hazard, despite it being built as a resource to HELP the public. They want it gone and have spent a considerable amount of money to ensure that happens. 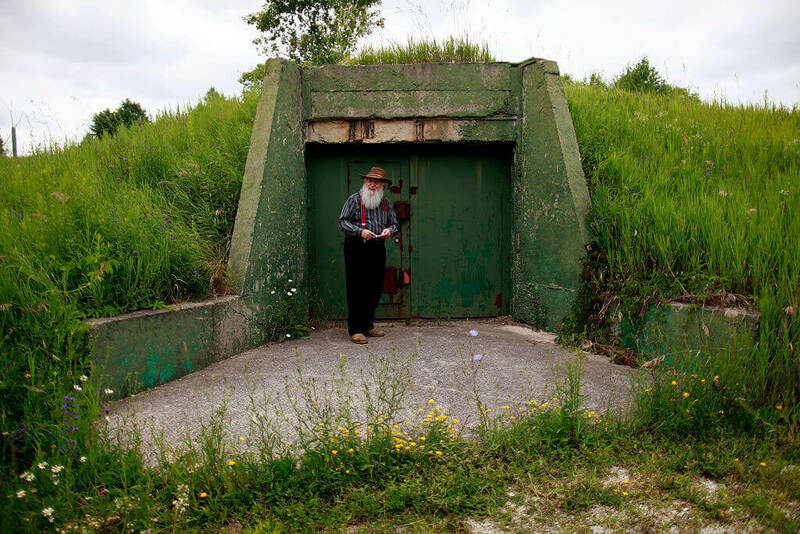 It doesn’t help Bruce’s case that the bunker was built without any permits. As a result, he’s had to appear in court more than 30 times. 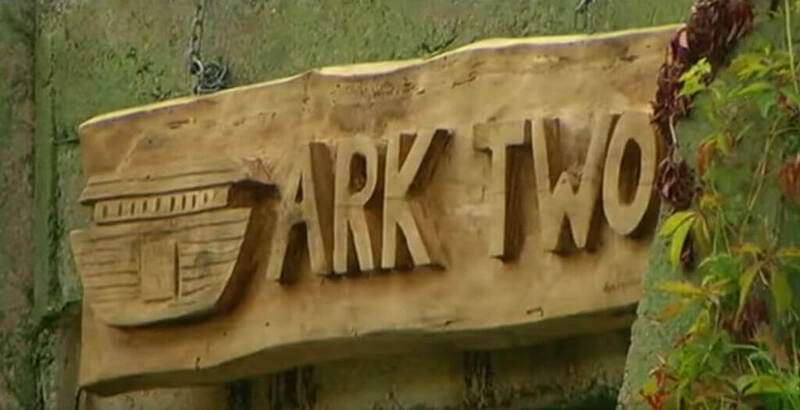 The Ontario Fire Department also wants Ark Two closed for good. They have actually sent teams to the site and sealed the structure shut twice. 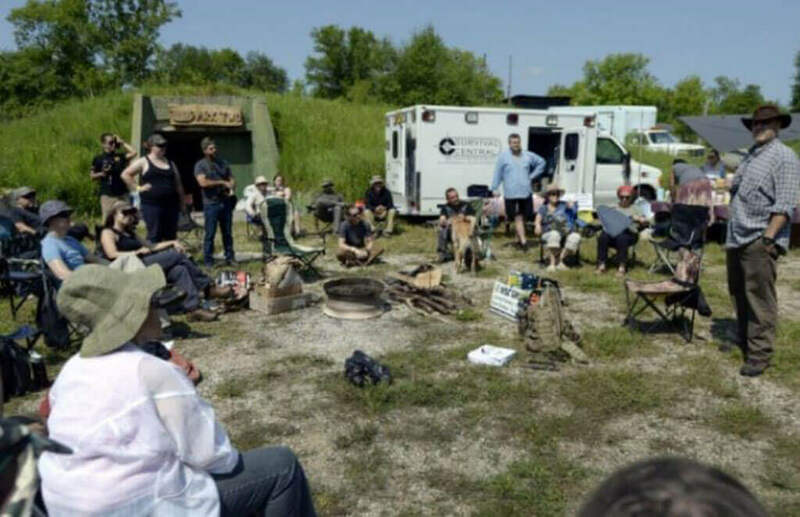 And when Bruce hosted a gathering of fellow preppers/survivalists at Ark Two, the fire department showed up again and threatened to close the shelter for a third time. Bruce thinks these attempts are detracting from the important work of saving lives that he’s trying to accomplish. In the Air Force, Bruce spent time as a radio control tower operator and he later taught computer science. Based on these experiences, he thinks an international nuclear war will be the result of India being bombed by Pakistan. But not all will be lost, according to Bruce. Read on for a positive message. Just who will be eligible to seek shelter at Ark Two? It seems that everyone will be. 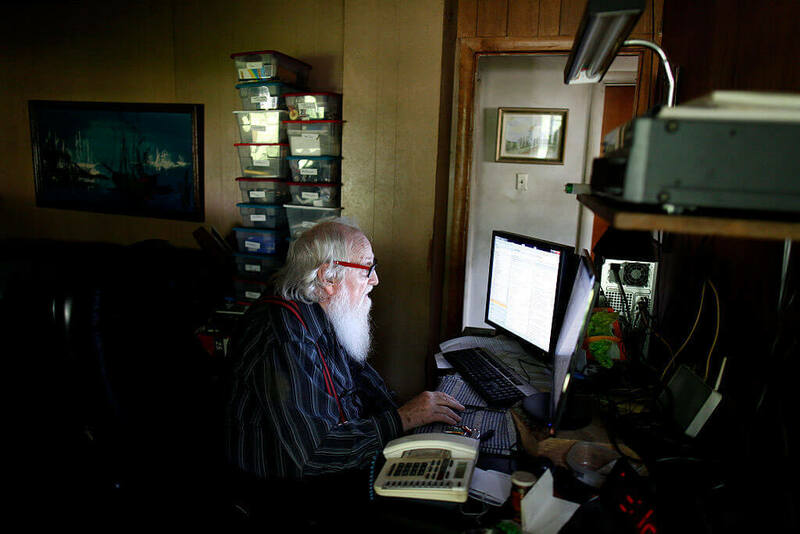 Bruce operates a network called the “SAFE” community. Bruce says that people need to be aware of the threat of a major war or catastrophe, but has an optimistic view of the future. He believes “now more than ever,” people need to be thinking about their options in the event of a war instead of frittering time away on their smartphones.